​​Sixty miles west of Casper is an area of young volcanics that penetrated ancient Precambrian rocks of the Wyoming Craton. These Eocene volcanics are comprised of three distinct groups across the crest of the southern part of the Rattlesnake Hills anticline. A central group of alkaline volcanic rocks (phonolite and trachyte rocks rich in sodium and potassium minerals and poor in quartz) are bordered by an eastern and western complex of felsic volcanism (rhyolite and latite rocks rich in feldspar and quartz). 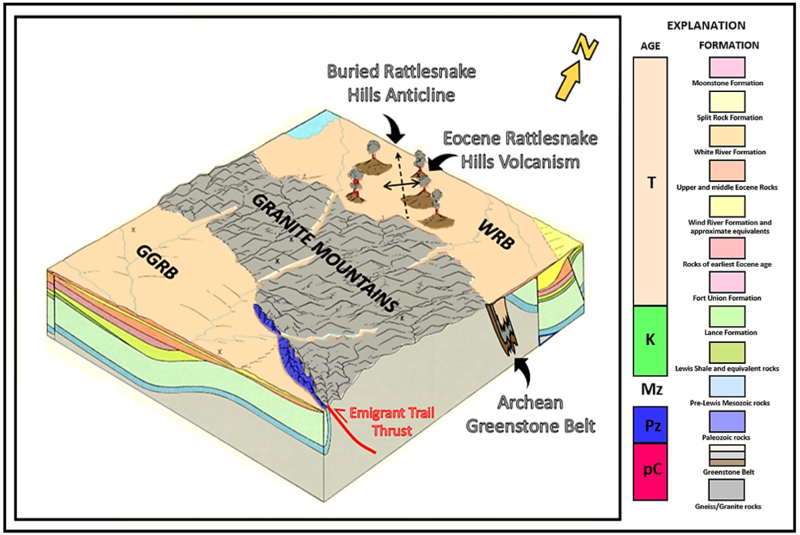 The volcanic field lies at the intersection of three structural features: the northwest-trending Rattlesnake Hills Anticline (fold of Laramide timing), the northeast-trending Belle Fourche Lineament (linear fracture or fault of Precambrian and Laramide timing), and the west-east trending North Granite Mountains Fault system (faults of Precambrian, Laramide and Miocene timing). 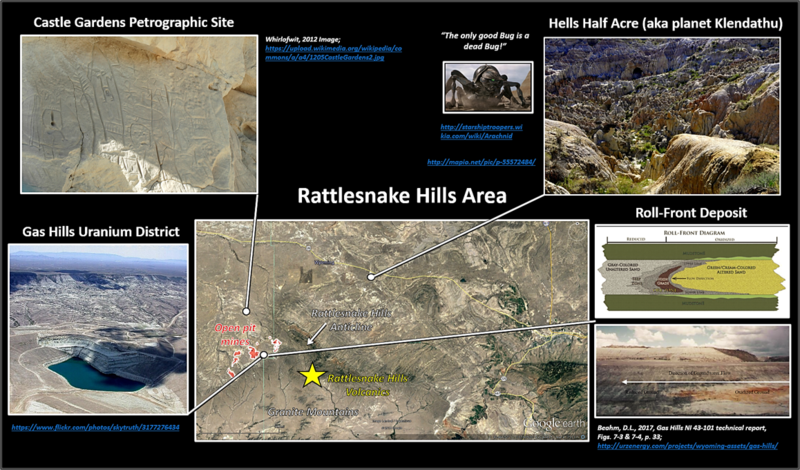 Aerial view of the Rattlesnake hills area and features. : Rattlesnake Hills anticline: black long dashed line, Beaver Divide: black short dashed line; Belle Fourche Lineament: blue dashed line. Faults: red solid lines; Volcanic groups: white ellipses. 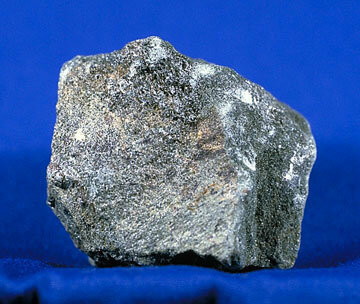 Nine volcanic, and two undifferentiated volcanic, rock types are recognized. The Rattlesnake Hills area is in a Precambrian Archean greenstone belt. Greenstone belts are very old, thick, complex sequences of low grade metamorphosed volcanic and sedimentary rocks that are found today sandwiched within Precambrian cratonic granite-gneiss terranes worldwide. 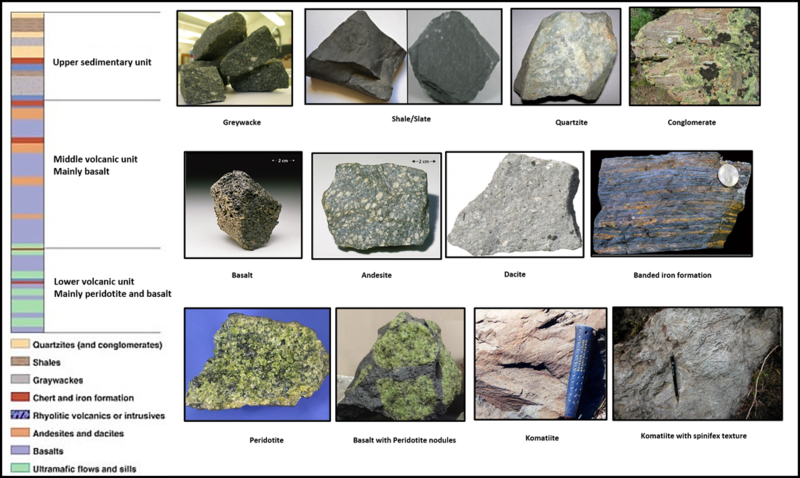 The name comes from the green hue imparted by minerals formed at the greenschist facies of metamorphism that was subjected to moderate temperatures and pressures (e.g. 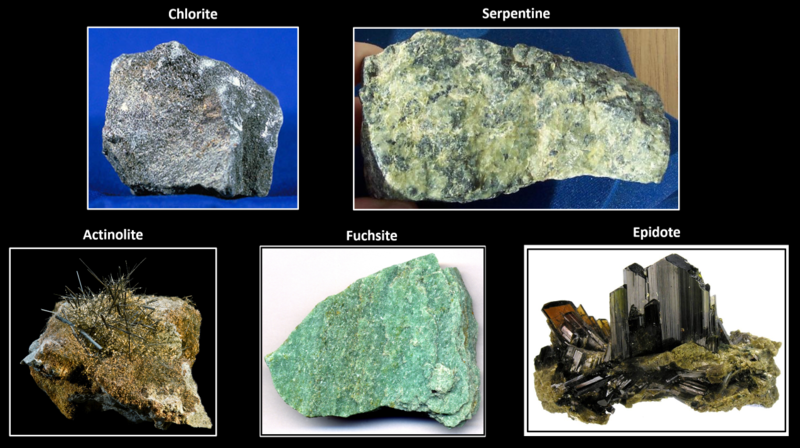 chlorite, serpentine, actinolite, fuchsite and epidote). Green tinted minerals found in Greenstone Belts. Epidote: By Rob Lavinsky, iRocks.com – CC-BY-SA-3.0, CC BY-SA 3.0, https://commons.wikimedia.org/w/index.php?curid=10139842. Billions of years ago these were subsiding basins on the back side of an island arc when the ocean was shallow and acidic, and the atmosphere was primarily carbon dioxide gas (CO2). Convection in the mantle in the back-arc area produced extension on the older crustal material and created these basins. The basins are usually found as highly deformed structures (fractures, folds, faults and shear zones). Subsequent collision of continents caused the deformation and metamorphism of these volcanic and sedimentary rocks. The filling of the greenstone belt is generally in three sequential parts. It begins with mafic and ultramafic igneous rocks (heavy minerals rich in iron and magnesium) extruding onto basement crust. The middle unit is mainly basaltic rocks (also iron and magnesium rich) becoming more felsic (lighter minerals rich in silca, oxygen, aluminum, sodium and potassium) upwards. Banded iron units are found intermittently in this section. The upper unit consists of greywackes (dirty sandstones), shale/slate, quartzite and conglomerates. All the units are enfolded by accretion of tectonic plates. Greenstone belts are important sites for mineral deposits including silver, copper and gold. Two of the most important gold districts discovered are in Archean greenstone belts (eastern Yilgarn Craton, Australia and the southern Superior Province, Canada). The world’s largest gold mine, in the Witwatersrand basin in South Africa, is a placer deposit sourced from surrounding Archean greenstone belts (Kraaipan, Murchison, and Barberton). Wyoming has several Archean greenstone belts aligned with the east-west and northeast-southwest suture trends from assembly of the craton. Nine Wyoming rivers have recovered placer gold: 1) Sweetwater River, 2) Snake River, 3) Laramie River, 4) Little Laramie River, 5) Wood River, 6) Gros Ventre River, 7) Hoback River, 8) Wind River, and 9) Northern Green River (see map below for river locations). Generalized rock sequence of a greenstone belt. Image: Lithologic column: http://www.thisoldearth.net/Geology_Online-1_Subchapters.cfm?Chapter=8&Row=2; Lower volcanic unit: Peridotite & Komatiite: https://escweb.wr.usgs.gov/share/.../Course%207%20-%20Igneous_translated.ppt;Basalt with Peridotite nodules: https://www.pinterest.co.uk/pin/347692033711655173/; Komatiite with spinifex texture:http://www.grisda.org/clausen/Precambrian/17a=stop6.11=komatiite,%20spinifex%20-%2049.JPG; Middle volcanic unit: Basalt and Andesite: https://escweb.wr.usgs.gov/share/.../Course%207%20-%20Igneous_translated.ppt; Dacite: http://scienceblogs.com/eruptions/2010/07/05/eruptions-word-of-the-day-daci/; Banded Iron formation: http://www.wyoleg.gov/InterimCommittee/2015/09-0826APPENDIXD.pdf; Upper sedimentary unit: Greywa>http://accounts.smccd.edu/hand/geology101/sedimentary/images/greywacke1.jpg; Shale/Slate: https://www.slideshare.net/dathancs/metamorphic-rocks-ppt; Quartzite:https://hiveminer.com/Tags/precambrian,quartzite/Interesting; Conglomerate: http://wyprospector.blogspot.com/2014/09/precious-metals-in-cowboy-state.htm. Wyoming Greenstone Belts Showing Rattlesnake Hills location in the approximate center of the state (black outlined green shape). Location of greenstone terrains (green shapes) CM: Copper Mountain, CpM: Casper Mountain, ER: Elmers Rock, GM: Granite Mountains, HU: Hartville Uplift, LM: Laramie Mountains, MBM: Medicine Bow Mountains, SM: Seminoe Mountains, SiM: Sierra Madre, SP: South Pass. Suture zones of sedimentary and volcanic rocks in the Wyoming Craton shown by red dashed lines. The Oregon Trail Structural Belt (OTSB, yellow highlighted area) is the northern margin of the Southern Accreted Terranes. Cheyenne Belt (CB) shown by solid red line. Streams with recorded placer gold deposits are numbered as in text. The Sweetwater River (1) has been the richest source of placer gold nuggets. Image: Google Earth; Data After Karlstrom et al, 1981, Houston et al, 1979, Souders et al, 2006, and RareGoldNuggets.com. Generalized cross section through a greenstone belt sandwiched between granite-gneiss terranes. Greenstone sedimentary and volcanic rocks display characteristic intensive folding from tectonic deformation. This structuring concentrates mineral deposits in low pressure zones. The Rattlesnake Hills granitic gneiss was emplaced into a back-arc area about 3.6 to 3.3 billion years ago (Paleo-Mesoarchean crust of Sacawee gneiss). The greenstone belt began to form about 3.2 billion years ago with the deposition of the initial volcanic and sedimentary units on the gneissic basement rocks of continental crust. The rocks underwent deformation and metamorphism about 2.83 billion years ago, and again when they sutured onto the Wyoming craton along the Oregon Trail structural belt. 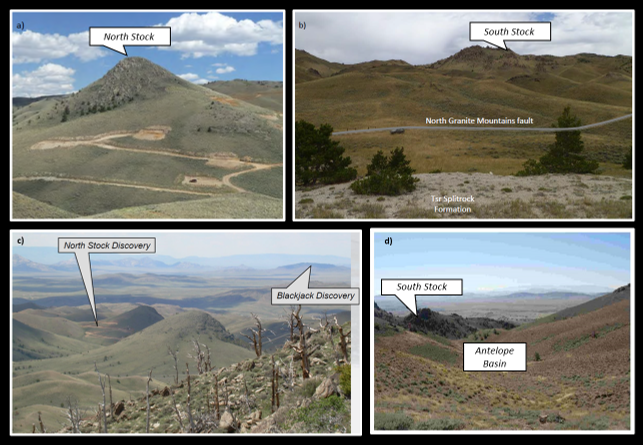 The Archean sedimentary and volcanic rocks are divided into three formations: 1) Barlow Springs Formation (base), 2) McDougal Gulch Metavolcanics (middle), and 3) UT Creek Formation (top). The Barlow Springs is primarily a metasedimentary complex of quartzite, pelite (metamorphosed siltstone and claystone), banded iron formation and amphibolite deposited in a shallow marine basin in a back-arc area. This tectonically quiet area occasionally underwent periods of minor volcanism. Chemically precipitated iron and chert formed banded iron deposits. 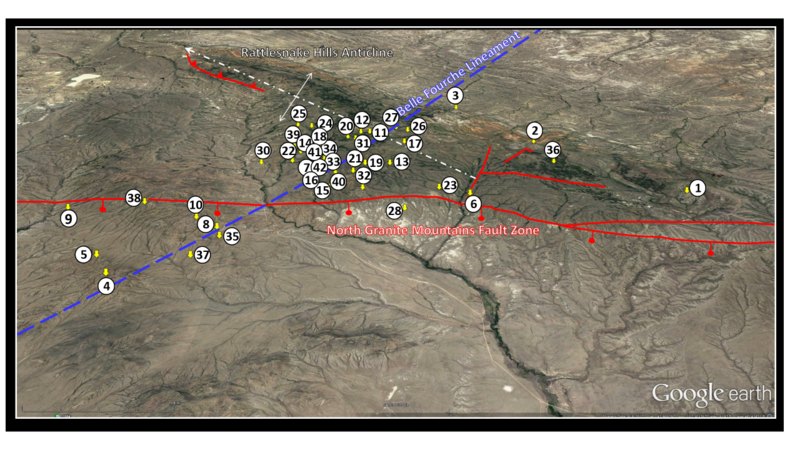 The McDougal Gulch units were deposited at a time of active arc development and basin deepening. The formation consists of metabasalt with amphibolite schist and minor talc-chlorite schist. The uppermost unit, the UT Creek Formation, consists predominately of metagraywackes (metamorphosed dirty sandstones). The texture and composition of the rocks indicate they represent distal turbidites (deep water sediments). The sediment volume suggests active uplift and erosion of the bordering island arc and craton. All three formations have been intruded by Proterozoic mafic dikes (Yd: 1,600 to 900 million years ago). The sedimentary and volcanic rocks were then deformed and metamorphosed to a greenschist-amphibolite facies (moderate temperatures and average to high temperatures) as the basin closed. Folds in the rocks are parallel to foliation. On the margin of this continent, Cambrian through Tertiary sediments were deposited unconformably over the deformed greenstone belt. Stratigraphic column of Precambrian rock in the Rattlesnake Hills. 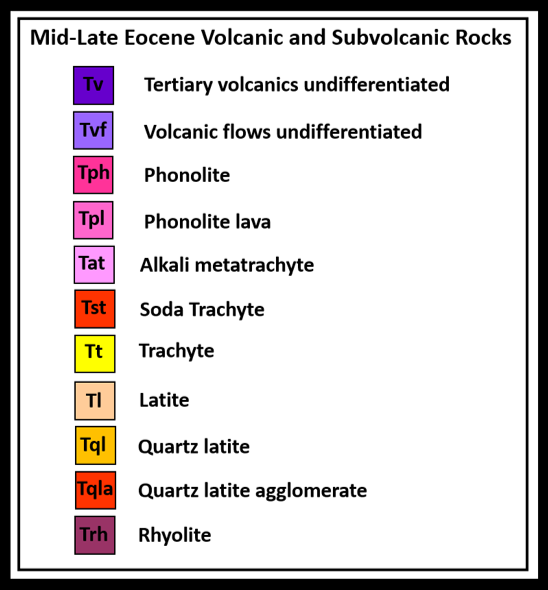 ​Tertiary intrusive rock codes, youngest too oldest: Tcb: Eocene carbonatite (intrusive carbonates), Eocene breccia (rock of angular coarse fragments), Tpha: Eocene aphanitic (very fine grain) phonolite, Tph: Eocene phonolite, Tta: Eocene trachyandesite. Very young Quaternary deposits of loose and incoherent debris (Qc) overlie the older rocks and are generally less than ten feet thick. Location of cross section AA’ shown by black dashed line on geologic index map. ​The Rattlesnake Hills volcanic complex encompasses 42 plugs, dikes, and sills of middle Eocene age (48.6-37.2 million years ago) that intruded the greenstone belt after Laramide deformation. They are in Townships 31-33 North, Ranges 88-89 West. The volcanic rocks are divided into three groups based on lithology and texture (Hoch and Frost, 1993). The eastern felsic complex is on the northeastern gentle flank of the asymmetric Rattlesnake anticline. The central alkalic group lies across the anticlinal axis of the fold. The western felsic complex is to the west of the anticline on either side of the North Granite Mountains fault. The western complex is compositionally like the eastern complex but is texturally finer grained. Image: Google Earth; Data: Pekarek, A.H., 1978, Stratigraphy and Structural Geology of the Rattlesnake Hills, Wyoming: Thirtieth Annual Field Conference, Wyoming Geological Association Guidebook, Table 1, p. 240. Geologic map of the Rattlesnake Hills igneous groups (after Hoch and Frost, 1993, WSGS Memoir 5, Fig. 2, p. 511) and the major structural elements. 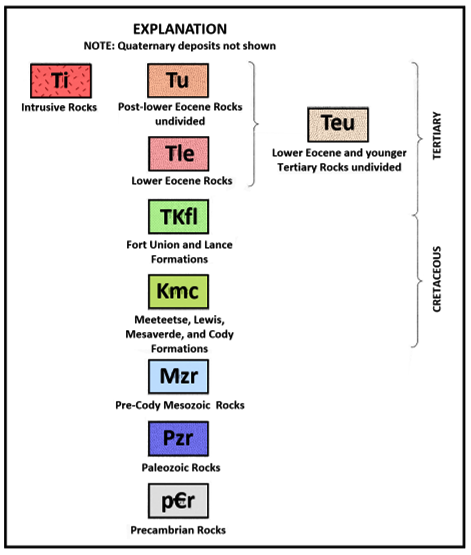 Color codes: red, orange, bright pinks located within the three groups are Tertiary intrusive rocks; blues and greens represent Cretaceous sedimentary deposits. Muted pinks are Precambrian metamorphic rocks. Middle to Late Eocene landscape reconstruction of Rattlesnake Hills volcanics. Tertiary basin fill sediments adjacent to the still elevated Granite Mountains block. Lake in upper northwest corner due to blocked drainage from sediment fill. During the Laramide deformation, the North Granite Mountains fault elevated the basement up to 5,000 feet. It also created a series of northwest oriented folds (including Rattlesnake Hills anticline) on the north side of the fault zone. The Granite Mountains fault zone reactivated a Precambrian zone of weakness. The volcanics intruded through the greenstone belt and Phanerozoic sedimentary rocks after Laramide deformation ceased. The volcanic rocks exploited: 1) shear zones along the Belle Fourche lineament and Oregon Trail Structural Belt, and 2) faults and fractures from Precambrian and Laramide North Granite Mountains fault zone, and Rattlesnake Hills anticline thrust fault. 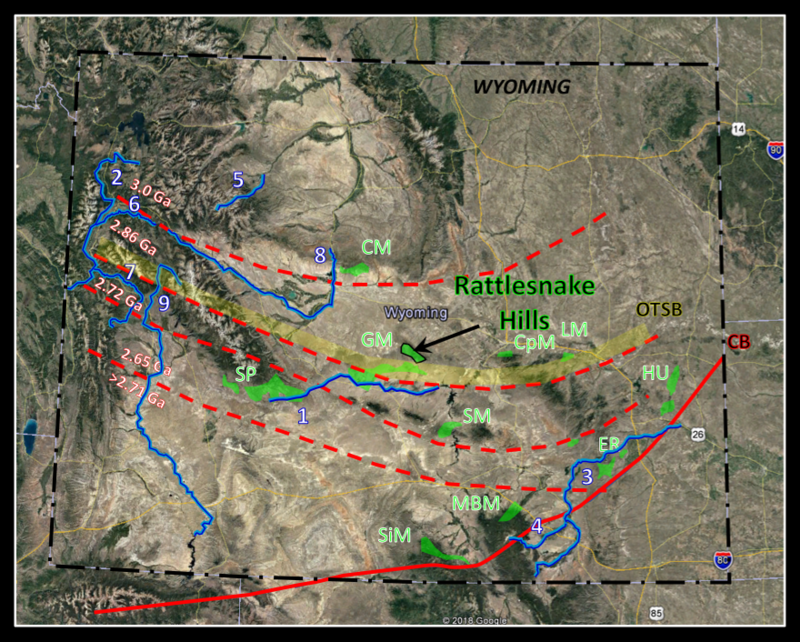 The Rattlesnake Hills are part of a regional mineralized volcanic trend aligned northeast-southwest with Precambrian weakness zones of the Belle Fourche and Rock Springs lineaments. The trend intersects other fault and shear systems that intrusive bodies and mineralizing fluids exploited. The magmatism is the result of mantle upwelling through a slab window or gap developed in the subducted plates. Structural cross section RR’ from the Rattlesnake Hills to the Owl Creek Mountains. Wyoming mineral belt concept, Bingham Canyon (southwest) to Black Hills (northeast). 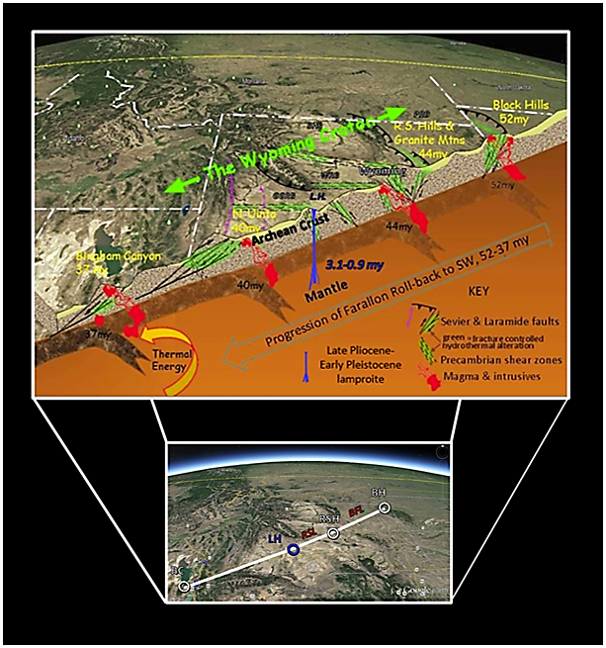 Diagram oriented along the Belle Fourche Lineament and shows the location of Eocene magmatic zones, and the Pliocene-Pleistocene Leucite Hills lamproites exploiting shear zones in the Precambrian crust. The ages of the Eocene intrusives indicate the progressive growth of the slab window to the southwest. 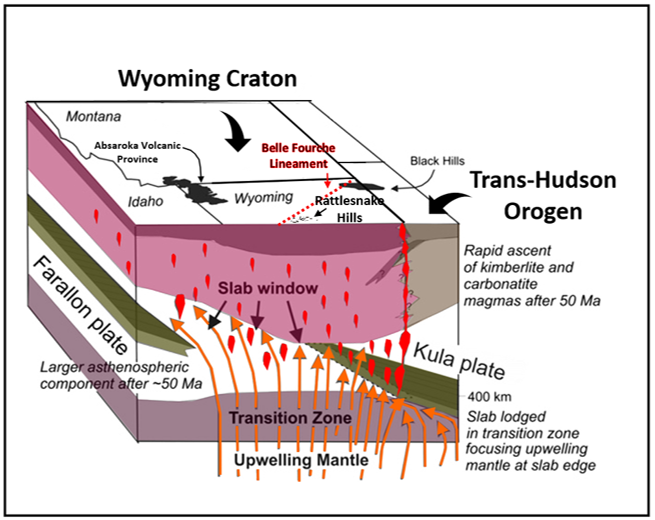 Generalized tectonic model for Eocene magmatism in the Wyoming Craton. Progressive opening of a slab window or gap allowed upwelling of magma from the mantle. 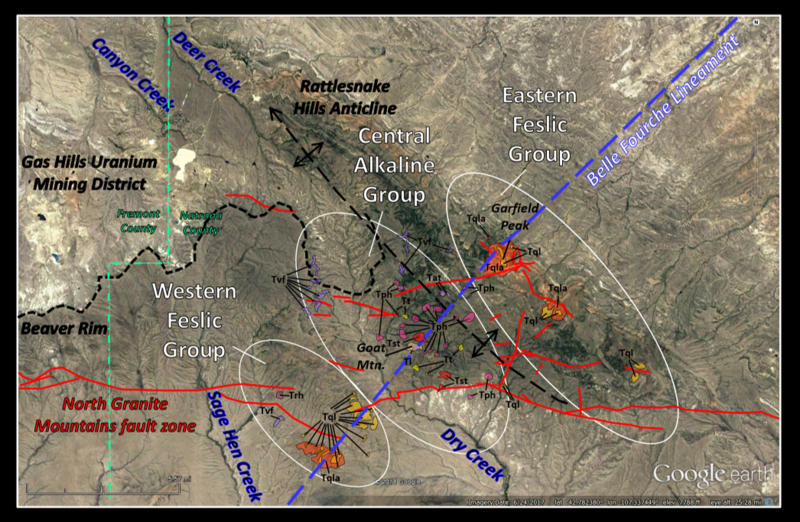 Image: Modified after Duke, G.I., 2009, Black Hills–Alberta carbonatite–kimberlite linear trend: Slab edge at depth? : Tectonophysics 464, Fig. 4, p. 190. ​The first discovery of gold in Wyoming is unknown. Stories of Spanish conquistadors mining gold ore are of unknown authorship and origin. The “Spanish Diggings,” 24 miles north of Guernsey, Wyoming, was not a gold mine but a Plains Indian rock quarry used for thousands of years. An American Fur Company trapper discovered placer gold in the Sweetwater River about 1842, but was killed by Indians before he could profit from his find. At the time this was Indian territory and prospectors were largely excluded from the region. Twenty-five years later the source of the gold was discovered at the southern edge of the Wind River Mountains in the South Pass greenstone district (Carissa Mine). ​The Rattlesnake Hills greenstone belt was overlooked until a Wyoming State Geological Survey economic geologist discovered gold at the “Lost Muffler Mine” in 1982 (Hausel, 1996). A Precambrian chert sample yielded a gold grade of 7.55 grams per tonne (g/t). For gold, less than 2 g/t is considered low grade, and greater than 6 g/t is considered high grade. Gold exploration has been ongoing since. Two types of gold mineralization are recognized, stratabound and dispersed (Hausel, 1996). The stratabound ore deposits include breccias, veins, and banded iron formation and are primarily in Archean greenstone units. 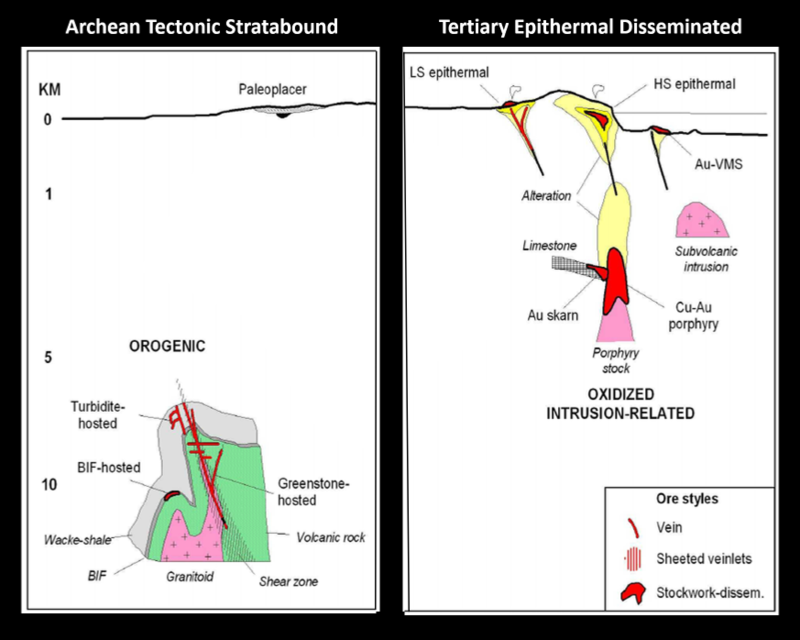 Tectonism largely controlled emplacement of the ore. Mineralization is parallel to foliation and aligned with shear zones, faults and fractures. Ore also occurs in stockworks (complex network of structurally controlled, randomly oriented fracture veins) of the Precambrian granite and gneiss. Dispersed deposits occur in the Tertiary intrusions, breccias, veins and surrounding wall rock (fractured metagraywackes or metamorphosed dirty sandstones). Two primary mineralization types in the Rattlesnake Hills. ​Currently, there are no operating gold mines in Wyoming. Exploration efforts in the Rattlesnake Hills have identified four promising areas of significant mineralization: 1) North Stock (aka Sandy Mountain), 2) Antelope Basin, 3) South Stock (aka Oshinan Hill), and 4) Blackjack. Drilling has intersected broad zones of low grade gold and silver mineralization, and narrow discrete zones of high grade precious metals in all four areas. The North and South Stock mineralization is found in veins and breccias surrounding diatremes (volcanic pipes formed by gaseous explosion). The North stock is a phonolite intrusive while the South Stock is an intrusive of alkali trachyte (aka soda trachyte: feldspar and dark minerals that are rich in sodium) with multiple feeder zones. Antelope basin contains disseminated gold within a quartz monzodiorite (quartz latite with more plagioclase than alkali feldspar) and schist. There are no outcrops in the Blackjack area, but it appears to consist of Tertiary volcanic breccia surrounded by Archean granite and gneiss that have mineralized quartz veins. Discovery was from surface and soil sampling of significant gold and silver mineralization. One core intersected 60 feet of 0.79 g/t gold and 36.86 g/t silver, and 175 feet of 0.36 g/t gold and 10.62 g/t silver. Rattlesnake Hills discovered areas of gold and silver mineralization (green star), and original gold discovery location (gold star at Lost Muffler Mine) (Hausel, 1982). Location of cross section shown by A to A’. The Beaver Divide (aka Beaver Rim) is a northward facing escarpment of young Oligocene White River Formation. 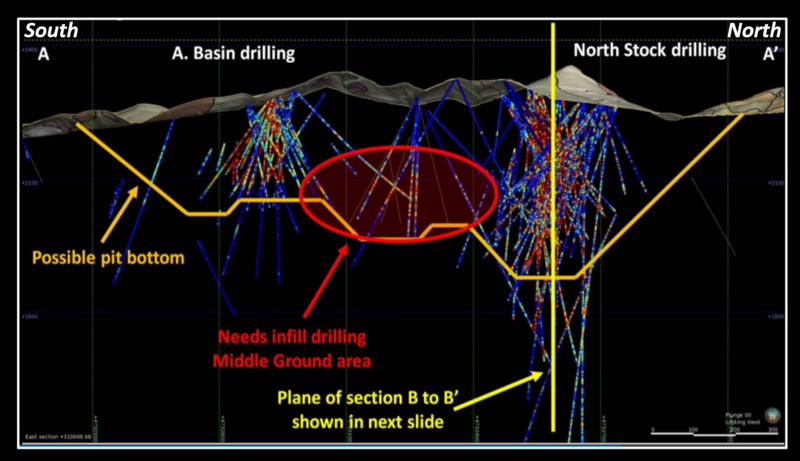 GFG Resources image of exploration drilling in the North Stock area with colors representing gold mineralization grade in grams per metric ton (g/t). Hot colors have the higher gold grade. 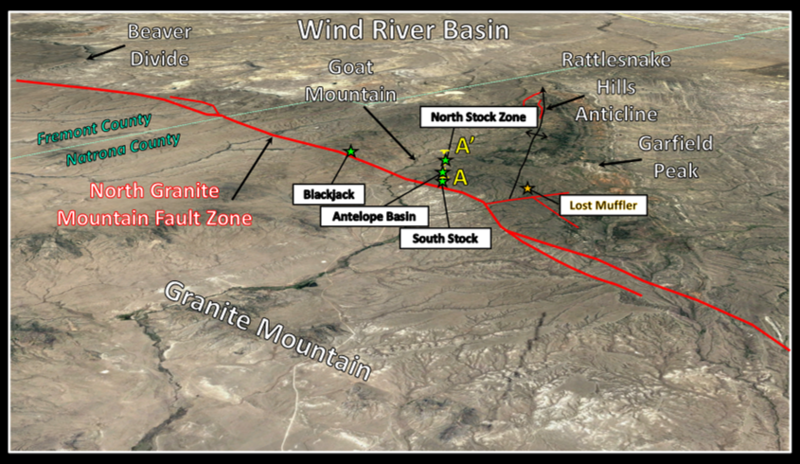 Gold line shows a potential open pit mine with maximum depth less than 2,0000 feet. Cross section length is about one mile (1.5 kilometer). It is uncertain if the Rattlesnake Hills gold deposits will become an active mining project. That will be determined as the issues of type, grade, size of mineralization and mining method are more fully understood. The project is at an intermediate stage of exploration and results have been promising. The area is in an Archean gold-bearing greenstone belt that underwent several episodes of deformation and metamorphism. Subsequent Tertiary alkaline intrusions have further concentrated ore bodies by magmatic and hydrothermal fluids. The main host rock are diatreme breccias and veins. Structural setting is at the intersection of three major features that provided permeable migration routes for ore-bearing fluids. Exploration drilling has documented significant concentrations of gold and silver, with potential for expansion. Project economics are unclear, but one thing is certain, the namesake residents of the hills will be watching. Namesake of the Rattlesnake Hills coiled and buzzing.